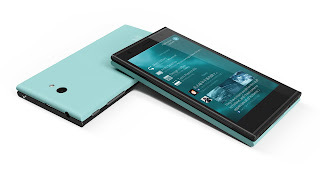 Jolla will focus on Sailfish operating system and secure phones. At the same time the company's Managing Director Tomi Pienimäki is transferred to another company. Finnish Jolla transfers the development of mobile phone and tablet devices to a new company, and at the same time designates a new operational leader. Jolla specializes in the development and licensing of the Sailfish OS operating system, while the new company sets up with a focus on mobile devices with enhanced information security. Jolla's new operational leader will be Antti Saarnio, continuing working as the Chairman of the Board at Jolla. The company's former CEO Tomi Pienimäki leaves Jolla, moving to a Finnish IT company Vincit Group in August. Jolla's phone and tablet business manager will be appointed later in the autumn. "For every young company, it takes time to find a strategic focal point, and I believe that Jolla has now found it", says Saarnio the company's release. "Sailfish OS has been developed for three years, and we are now entering larger seas in our strategy for licensing our operating system. This requires thta the entire Jolla team focus on software production." Jolla's strategy has been licensing Sailfish OS, operating system developed by Jolla, to other device manufacturers particularly in the BRICS countries (Brazil, Russia, India, China, South Africa). For example in Russia, investigation to use Sailfish OS as a smartphone platform for their digital services is on going. There, for example the dominance of Google's Android has been considered as a problem in the country. However, official approval of Sailfish OS by the government does not automatically mean income Jollalle, especially while Russia does barely have any domestic phone manufacturers. Jolla has, however, had talks on the use of Sailfish operating system with Indian and Chinese manufacturers. The company will inform more on their licensing plans during next week at Mobile World Congress in Shanghai. On the device side, the company intends to focus on devices based on Sailfish Secure operating system announced in March. Sailfish Secure is being developed together with the Finnish company SSH Communications, including specific protective methods for telephone communication. Jolla does not comment on whether the company has plans for new Sailfish Secure devices. "The next goal is to get Jolla tablet device ready", says the company's Director of Communications Mr. Juhani Lassila. Tablet deliveries for pre-orders are expected to start at the end of July. The company has had problems with, inter alia, the software and components. According to Lassila, some delay in the plans may come, but the situation will be monitored on a daily basis. Around at the same time with the tablet, the company plans to announce a new Sailfish version 2.0 operating system. Disclaimer: This translation was made using the original post as it was published on July 7th 2015 at 12:00 UTC. Possible corrections made to the original post later are not part of this translation.